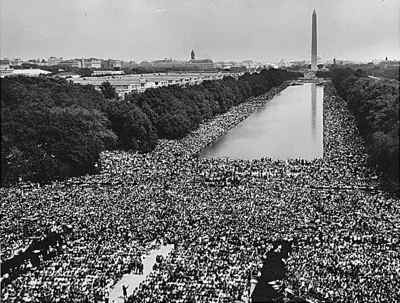 Today is the 50th anniversary of the speech Martin Luther King Jr. made at the base of the Lincoln Memorial in Washington DC concerning Civil Rights. The speech is widely considered one of the best in American history and remains an inspiration. I visited Washington DC last week and saw the early preparation for the remembrance today. 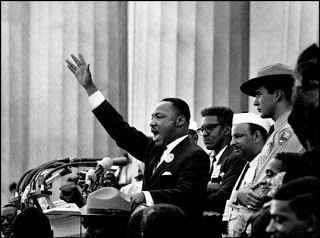 If I remember right, Dr. King pushed aside his prepared speech at one point and his famous words, “I have a dream …” came directly from his heart, not the sheet of paper in his hands. How would you answer this question? Sorry, no fence-sitting allowed. Each of us needs to answer this question. Much in life starts with a dream. Declare yours and step forward. There is a cool page on NBC News today displaying links to how people, celebrities and regular folk, answer this question. I encourage you to visit the page to read some of the responses for yourself. Here is the link. An answer for me, with this blog in mind, is this I have a dream to always put people first. We need leaders who profoundly care about the people they lead in business or any organization. Showing compassion and interest in others is the mark of a true leader. Yet, it is not all ‘soft’. Putting people first also means being direct and tough when needed. Leaders must focus on getting the right people, in the right job, doing their best work. How can we do this if we do not put people first? Yes, this is a dream of mine and I focus on it each day for myself and as a teacher for others. There are too many examples of organizations, businesses, and governments not putting people first. We have work to do. Put people first and amazing results will follow. You got to believe this. Thank you, Dr. King for your service, your dream, and lasting inspiration.